Back in April I discovered Strong Roots Kale & Quinoa burgers at Waitrose and since then repurchased a number of times. I really love the flavour and it makes a pleasant change from the usual vegetable burgers I pick out at Sainsbury's. Coincidentally I was recently contacted about Strong Roots and because I'd already bought the burgers I happily accepted an offer to receive the entire range. "We’re a new start-up food company from Dublin in Ireland bringing frozen food back from the dead. 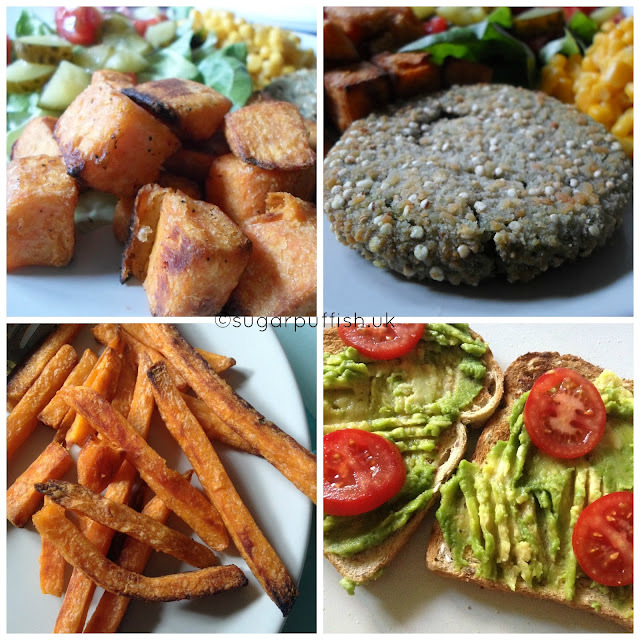 We’re keeping it simple, tasty and delicious"
There are four products in total - Oven Bake Sweet Potato, Ripened Avocado Halves, Garlic Roasted Sweet Potato and the Kale & Quinoa Burgers. The range is Gluten Free, Vegan Friendly, Low in Saturated Fats and a source of fibre. If you would like nutritional information please visit the website for details. I often rely on being able to throw dinner into the oven. We all have occasions when we are tired from work and don't want to stand over the cooker making a meal from scratch. 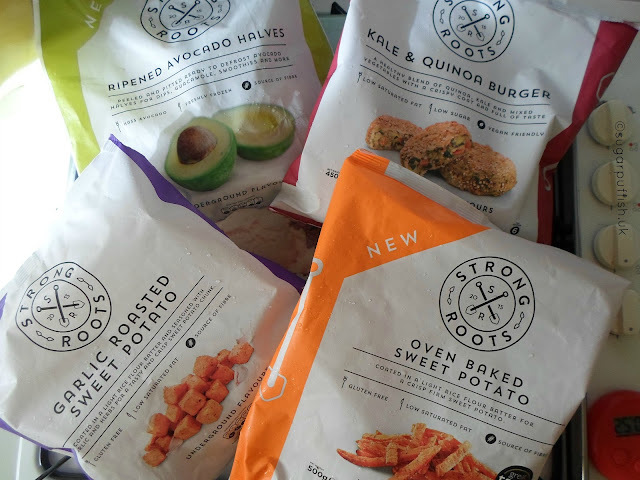 Now I know some people might frown upon processed frozen foods but I think Strong Roots focus on a natural range. 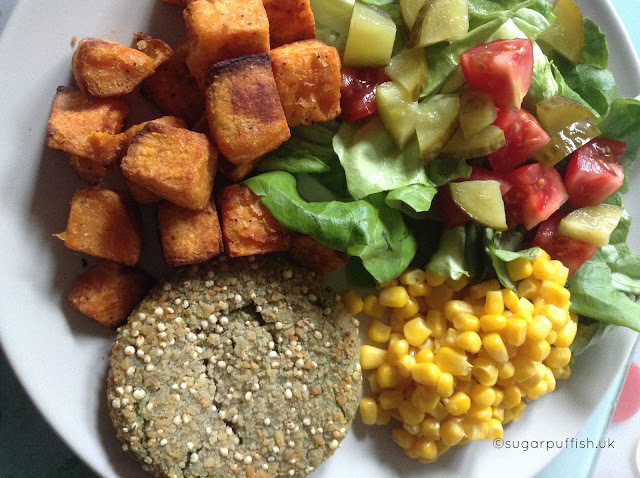 As I already mentioned I enjoy the burgers, they work well with or without a bun and the sweet potato make a great side dish to any meal. I enjoy the two different styles of potato in terms of shape and flavour. The garlic isn't overpowering and I'd say it was subtle enough so you can still appreciate the natural sweetness of the potato. I'm not sure if I would buy the avocado but I can understand the convenience. It's nice to defrost one over night and guarantee the perfect consistency for my toast. I felt like some flavour was lost but I wonder if that was my taste buds, you can't always guarantee it even with a fresh avocado. As I said I've been buying the burgers so I was already recommending Strong Roots to people. I've been more than happy to sample their other products and would purchase them. If you wish to find your local stockist then visit Strong Roots website.